The BMW M4 is a two-door sports coupe cleaved from the 3-Series several years ago. Although the name may be new, the concept isn't—a high-performance two-door has been part of BMW's lineup for decades. In 2015, the M3 coupe became the M4, which is the pinnacle of the 4-Series lineup. Along with the new badge, the M4 has a new body, suspension setup, and powertrain. 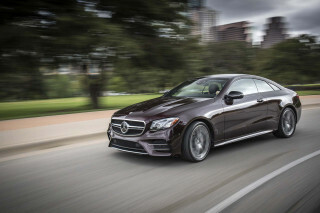 The coupe was quickly joined by a convertible version. 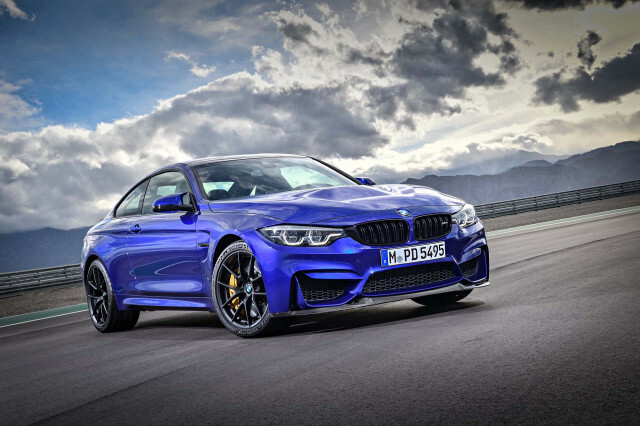 BMW sold a limited-production M4 CS in the 2019 model year. It featured a small horsepower boost over the M4 Competition model, and came only as a coupe with an automatic transmission. The M4's twin-turbocharged, inline-6 recalls some of the M3 coupe's history, as several generations used 6-cylinder engines in the past. 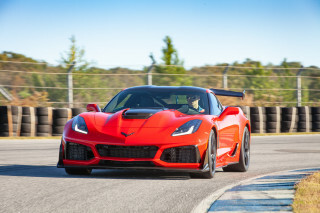 This six puts out 425 horsepower and 406 pound-feet of torque, offering a very wide powerband thanks to the twin turbochargers. 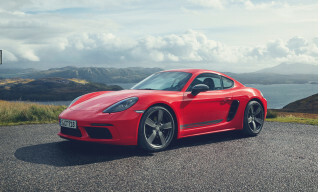 The two-door M car once again offers a choice between a 6-speed manual transmission and the latest version of BMW's M-DCT dual-clutch automatic. An M Active Differential in the rear can vary locking between 0 and 100 percent, doing so in just milliseconds, to help the car put down power no matter the situation. 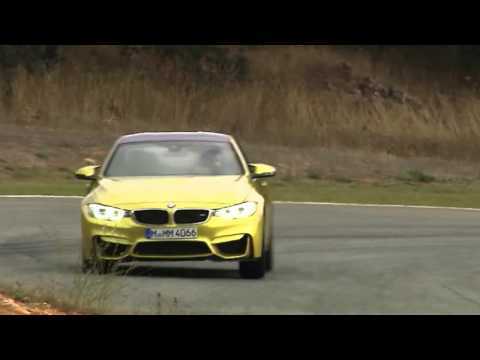 The company 0 to 60 mph of 3.9 seconds for the M4 when equipped with the M-DCT transmission. Top speed is limited electronically to 155 mph. Like the M3 coupe before it, the M4 hardtop is available with a carbon-fiber roof to further save weight. This generation M4 is lighter than the last, but the coupe body style adds more than 500 pounds. That convertible retained a retractable hardtop design. The top stows neatly in just 20 seconds—as well as a standard wind blocker—the convertible allows top-down enjoyment with nearly the same driving experience as the M4 coupe. With available neck warmers, folding rear seats, a ski pass-through, and a cargo shelf, you won't make any big sacrifices in versatility in the convertible, while performance numbers are nearly as good, although weight will be a bit higher as a result of the top and its mechanism. For the 2016 model year, BMW only made minor adjustments to the M4's features and equipment packages. Both body styles gained keyless access, a Harmon Kardon sound system, and a year of satellite radio; the convertible model added a pass-through for the trunk. For 2017, BMW made standard its Adaptive M suspension in the M4 and added an available Competition package that boosts output to 444 hp. Before the switch to the 4-Series name, the M3 coupe and convertible were some of the hallmark efforts from BMW's M Division. The BMW M3 was first launched to the world as a coupe in 1985 with the now-famed E30 model. Packing a high-revving, peaky 2.3-liter 4-cylinder normally aspirated engine, the original M3 made 192 horsepower (for models with the catalytic converter). Despite the modest-by-today's-standards output, the car's relatively low curb weight (about 2,800 pounds) made it quick, and its M-tuned suspension made it handle impressively, too. An "Evolution" version (offered in Europe only) of that first M3 was available with an extra 25 horsepower, lighter glass and bodywork, and unique aerodynamics. This M3, the ur-M3 as it were, was only available as a two-door coupe in the U.S., though Europeans also had the choice of a two-door convertible. The E30 M3 was only sold with a standard-pattern manual transmission in the U.S.
BMW's next generation of the M3 coupe didn't arrive in the U.S. until 1995, with the E36 generation of the 3-Series. This time around, the M3 was also available as a convertible and as a four-door sedan, but those were only part of the major changes to the M3. Riding on an entirely new (and considerably heavier, at more than 3,200 pounds) chassis, the E36 M3 was also significantly more powerful, rating 240 hp and 240 pound-feet of torque from either a 3.0-liter inline-6 (1995 only) or a 3.2-liter version of the same engine (1996–1999). 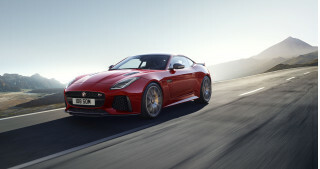 The 3.2-liter engine scored the same horsepower rating, but torque rose to 240 lb-ft from the 3.0-liter's 225 lb-ft of twist. A 5-speed manual gearbox was standard. The third generation of the M3, the E46 generation, arrived in the U.S. in 2001. A new chassis underpinned the car, and the engine was upgraded, this time using a 3.2-liter inline-6 rated at 333 hp and 262 lb-ft of torque. The weight of the new M3 grew with its power, now up to about 3,450 pounds. The E46 car came with a standard 6-speed manual but was also available with a single-clutch SMG (sequential manual gearbox) transmission, which basically automated the clutch and gear shifting for quicker responses and an automatic mode. For the fourth generation of the M3, BMW decided to add two more cylinders once again, but this time, in a V-configuration. The new 4.0-liter V-8 put out 414 hp and 295 lb-ft of torque. Once again, the extra power was needed to combat the extra weight, since the E92 M3 Coupe tipped the scales at 3,483 pounds. In addition to the first V-8 for the M3, the E92 generation also offered the first dual-clutch transmission for the model, a 7-speed M-DCT. Real-world testing showed the fourth-gen M3 coupe could hit 60 mph in under four seconds when equipped with the new M-DCT gearbox, though BMW's claimed estimate was 4.5 seconds with the M-DCT and 4.7 seconds with the 6-speed manual. 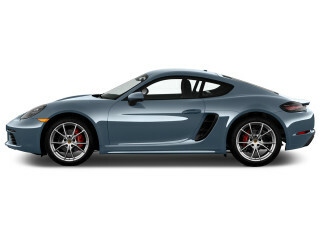 Amazingly fun to drive, interior crafted beautifully and a great exterior body style. The chassis is solid and lightweight for a car with this performance standards. I am completely hooked!